You will surely lighten up your holiday desserts spread this year with this Vegan Coconut Almond Cake. Yes the vegan version of the Raffaello Cake is here! Perfect for any time of the year, but for some reason to me, coconut (although tropical) just looks so festive for the winter season! This is one stunning cake. For those not familiar with the Raffaello, it is the not so distant cousin of the famous Ferrero Rocher! 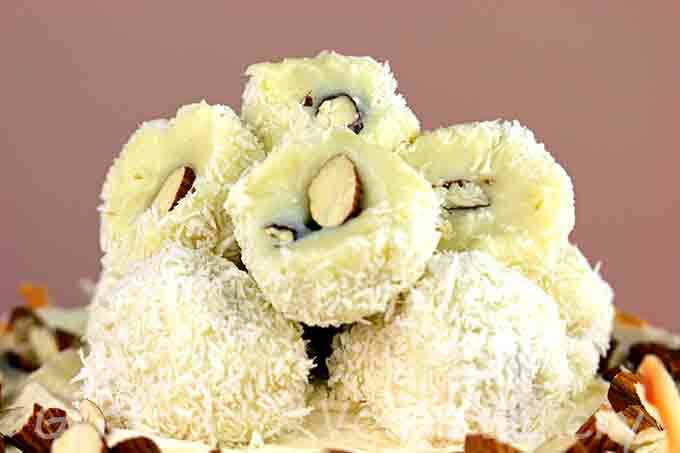 Raffaello’s are little white chocolate truffles stuffed with a roasted almond and then coated in coconut. But, since none of those chocolate confections are vegan, we have to make our own. As with any epic cake design like this one, it is a building on recipes project. But don’t worry, I take you step by step through the process in my video tutorial below as well as the ingredients listed out for each specific recipe. 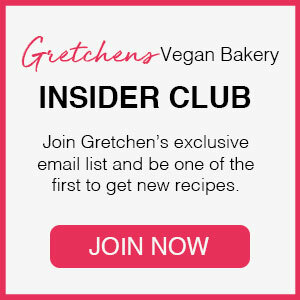 Just take it one recipe at a time and before you know it, you will be eating this luscious Vegan Coconut Almond Cake! I have kicked it up one notch here today by adding two layers of aquafaba almond dacquoise to this otherwise pure coconut layer cake. You can of course leave that step out, but it really adds a beautiful crisp element to this layer cake. 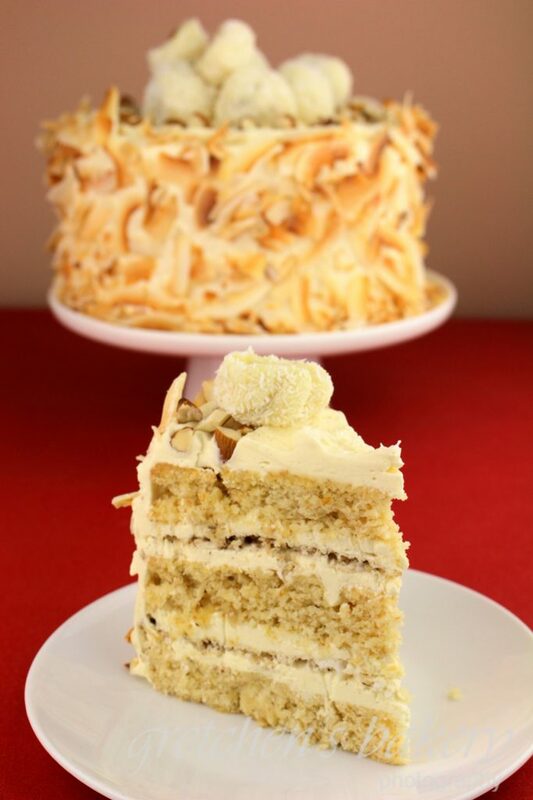 With layers of coconut aquafaba buttercream throughout and then iced in more coconut buttercream, this moist coconut cake gets a heavy coating of shredded coconut and don’t forget those homemade Raffaello truffles piled on top! You can prepare the cake ahead of time and just wrap the layers well and freeze them until you are ready to assemble to cake. The same for the buttercream, it can be stored in the refrigerator until you are ready to build. Just check out this post for how to re whip a cold buttercream if you go that route. 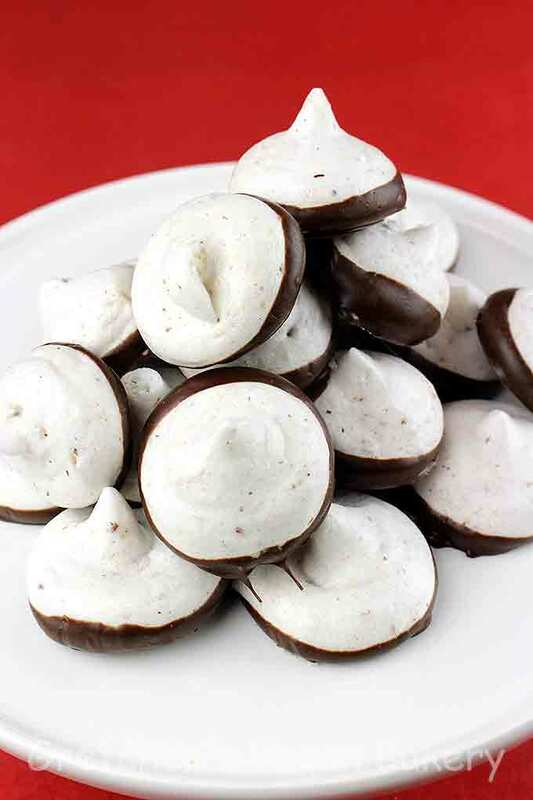 Truffles can be made days in advance but the dacquiose is one recipe I would save for the day you are making the final cake; since if you leave a meringue out, exposed to the elements it has a tendency to attract moisture and lose its characteristic crispness. So get organized, plan your work ahead of time and the day you need this cake, you will have an easier task ahead of you! The recipe for almond dacquoise is definitely more than you will need for the 2 meringue discs I am using in the cake, so you can half the recipe below or just make meringue kisses like I did! In my opinion, after all the trouble to dry out the meringues it is nice to have more to show for all that time! And who doesn't like a couple dozen meringue kisses!? For the cake batter, combine the flax meal with the warm water and let stand to thicken. Repeat with another ⅓ of the dry and the other half of the coconut milk, and end with the last addition of dry. Add the coconut last and then divide batter evenly into 3 greased and parchment lined 7" cake pansand bake in a preheated 350°f oven for approximately 35 minutes or until they are springy to the touch when you gently press the centers. Prepare the buttercream as per the instructions on that blog post then add the coconut flavor last. Scoop the truffles with a #100 scoop and roll into perfect balls after inserting a roasted almond into the center of each one. Make the Dacquoise by whipping the aquafaba on high speed with a balloon whip attachment on a stand mixer. Combine the cream of tartar with about 1 Tbs of the sugar and add it slowly to the whipping meringue, then add the remaining sugar 1 Tbs at a time until you reach stiff glossy peaks. 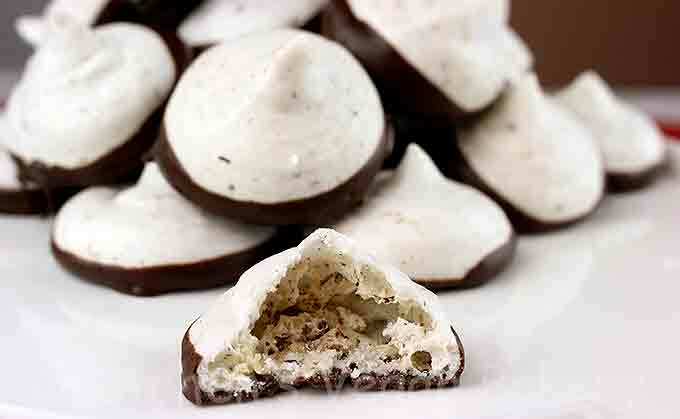 One note about making the dacquoise, or any meringues for that matter. My oven does not go below 170°F and my dehydrator obviously has much lower settings. Aqauafaba does not like high temperatures and while 170°F technically is not a high temperature, I still like to control it by staying at 155°F and lower. I have used my oven to “dry” meringues and it does work out fine. Either way it will take 2 – 3 hours to dry them out. This looks delicious! 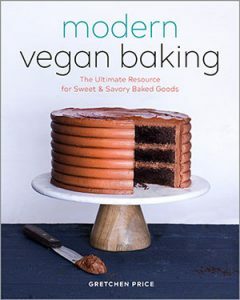 Do you know if this would work with gluten-free flour instead of cake flour? How long can the dacquoise be kept if you are not ready to use it immediately? Hi Yes you can! You can leave out the cream of tartar, I understand many people cannot get it. Hi Gretchen wanda ask you about meringue cookies? Would be a good idea to add agar agar ? Hi Gretchen, I have only two 7″ pans, can I use them and then cut the cakes into 4 layers?